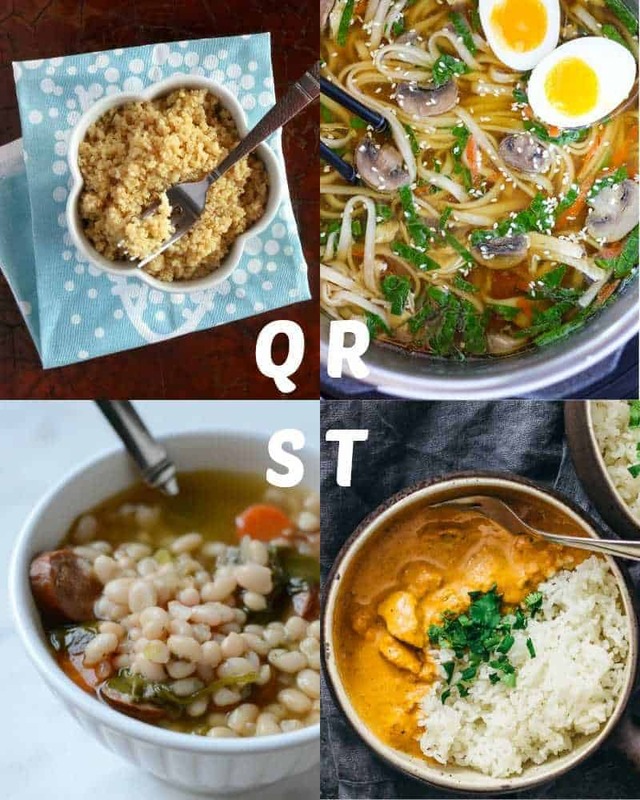 Looking for some delicious Instant Pot recipes to try? 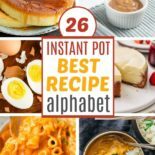 Here is a list of the 26 best Instant Pot recipes that have over 1 million shares, one for every letter of the alaphabet! I finally got an Instant Pot recently and started testing it out…well I LOVE IT! 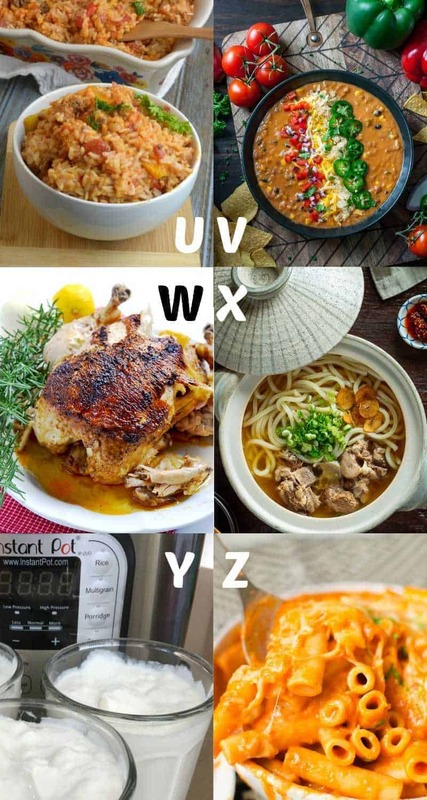 I have started cooking up some great Instant Pot recipes that I plan on sharing with everyone soon, but I felt inspired to look for the very best Instant Pot recipes on the Internet, and list them out from A to Z. 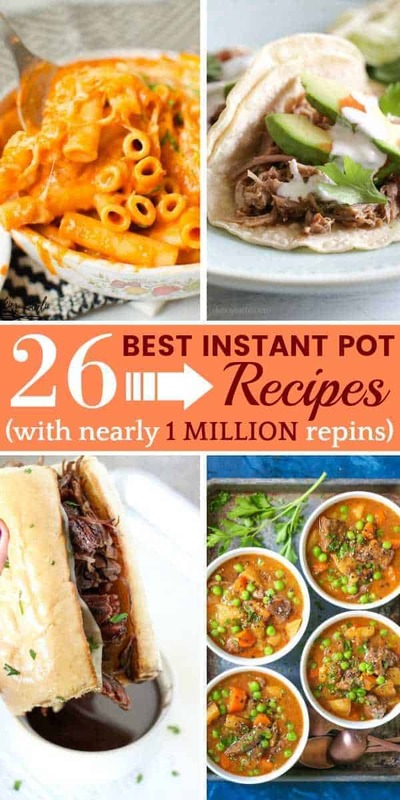 These awesome Instant Pot recipes have hundreds upon thousands of repins on Pinterest between them and rank top on Google as well! Some of these recipes have OVER 100,000 repins alone — all together these Instant Pot recipes have been repinned a million times! 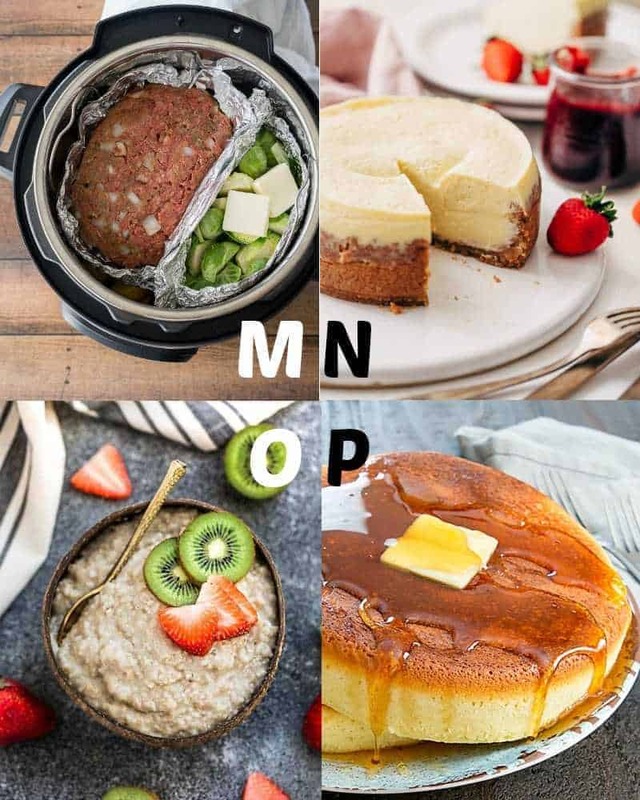 Check out the best Instant Pot recipes from A to Z. Look for the letter in the corner of the picture and click the link that corresponds to the recipes listed below! Applesauce in the Instant Pot is one of those hallmark recipes (but beware the splatter!) This recipe from Amy and Jacky at Pressure Cook Recipes is spiced just right and oh-so smooth! I don’t think I have ever met a recipe from Damn Delicious that I didn’t like! Chungah gives us a feast for the eyes and the stomach with this hearty beef stew recipe… love the pop of color from those peas! When I saved this recipe to my Instant Pot board my followers went wild! It spread like wildfire all over Pinterest. 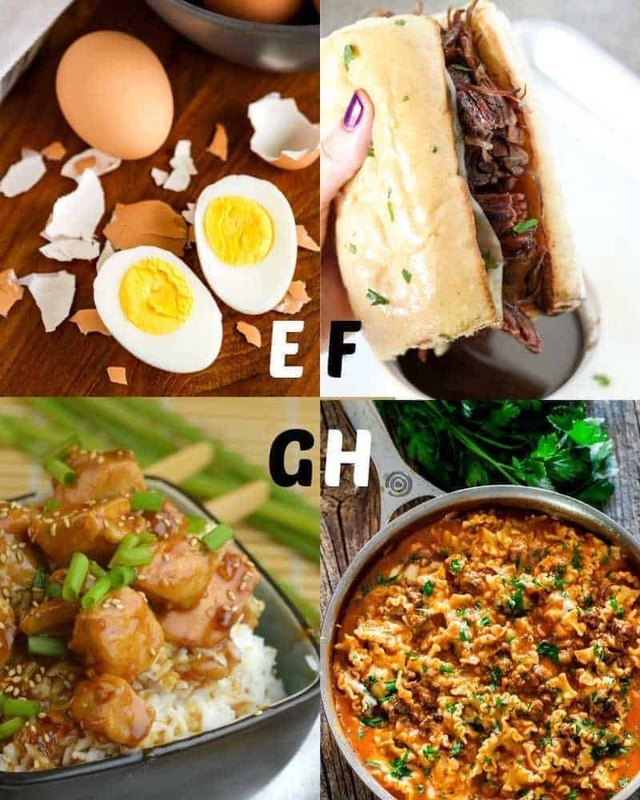 Gina from Skinnytaste really nailed it with this flavorful recipe! Dulce de leche is a notoriously finicky recipe. This recipe from Hip Cooking takes the dulce de leche cooking time from three hours down to 15 minutes…no time-traveling required! Want to make perfectly cooked hard-boiled eggs but don’t know how? Give up that boiling water and use this Instant Pot recipe from Unsophisticook instead! Melissa from No. 2 Pencil created this dipalicious Instant Pot French Dip recipe! You’ll be slam dunking these babies in some delicious sauce and marveling at the flavor! You say “so” I say “sow”. No matter how you pronounce it, General Tso’s is one of the most popular American Chinese recipes out there. If you like Chinese food, why not take in this better-than-takeout recipe from Adventures of a Nurse in all it’s yummy glory? You’ll be Tso glad you did (I kill myself, lol). Confession time: I am not a Hamburger Helper fan. But I am a fan of Jo Cooks and this Instant Pot version that she made looks 1,000x better than the original, boxed junk from the store. This recipe makes me want to clutch my pearls and speak in a Southern accent, Y’all. Kudos to Ally at Crave the Good for coming up with this pearl-clutchingly good iced tea recipe! I ain’t Jamba-lyin’ when I say that this chicken and sausage Jambalaya recipe from London at Evolving Table is a healthier version of the original. 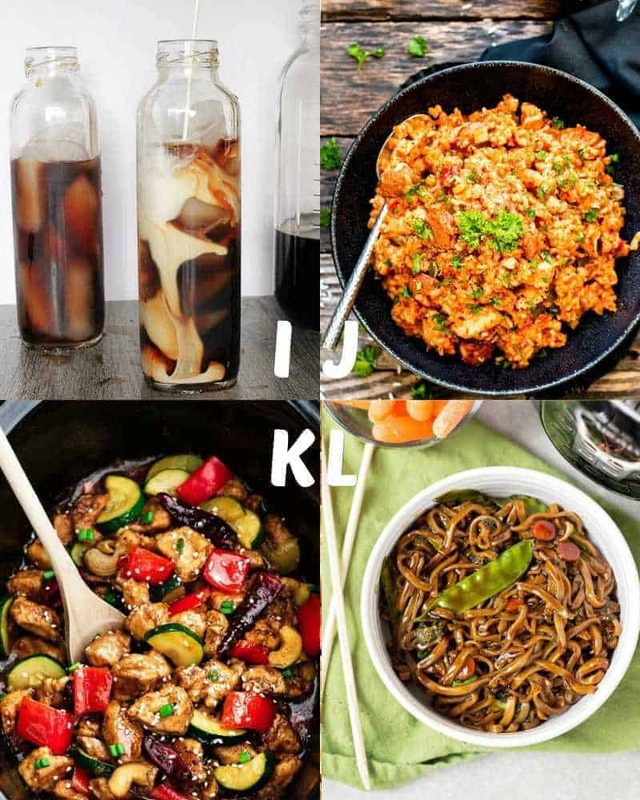 Kelly from Life Made Sweeter shares this kung pao recipe, which is an easier, healthier version of your local Chinese place’s takeout. Forget Kung Pao…this is Kung WOW! I also shared my delicious Korean Instant Pot spicy BBQ ribs recipe that is finger-licking-tongue-burningly good! This veggie-loaded lo mein recipe from Sadie at Slap Dash Mom is vegan and Weight Watcher friendly! Great for Meatless Mondays or times when you need a light dinner in a hurry. You won’t believe this clever hack that Shawn from I Wash You Dry used to get a complete meal out of her Instant Pot — without having to switch inner pots! Meatloaf, potatoes, even Brussel sprouts…seriously, check it out, it’s beyond genius. Cheesecake? From an Instant Pot? Yaaaaas! This recipe from Marzia at Little Spice Jar is so much simpler than the oven version and tastes just as awesome! Who said breakfast has to be boring? Another great recipe from Life Made Sweeter…customize your oatmeal any way you want, with fruits, syrups, or honey! You might also like this Instant Pot Oxtail Soup recipe by Squirrels of a Feather. These monstrous pancakes are the brainchild of Kirbie’s Cravings — bring your appetite and your A-game if you want to take on these fluffy wonders. Quinoa (pronounced “keen-wah”) is a gluten-free, protein-packed superfood. This Instant Pot quinoa recipe from Hip Cooking gives you perfectly cooked quinoa, which can serve as a base for many different recipes. I never was a cheerleader, but I go rah-rah-rah for ramen! You will be cheering too once you try this ramen recipe from No. 2 Pencil…so much tastier and healthier than that store-bought junk! My kids are FINALLY starting to like Indian food as they get older, so I can’t wait to share this Tikka Masala dish (from Julia at Savory Tooth) with them! The sauce! The spice! The simplicity! It’s a must-try for sure. Yet another recipe from Adventures of a Nurse, this unstuffed pepper recipe is surely an adventure! If I ever become a vegetarian, I swear I am going to eat this lentil soup from Peas and Crayons once a week! It’s just so colorful and creamy-dreamy! You no longer need to be intimidated by the idea of cooking a whole chicken…Marjorie from A Pinch of Healthy has you covered! Give her recipe for a whole rotisserie chicken a try. You will be glad you did! Ok, I know it doesn’t EXACTLY start with an “x”, but this oxtail udon recipe from Nami at Just One Cookbook is so good, I promise you won’t mind! It’s exciting, extraordinary, and extremely delicious! Yogurt is one of those things I would have never thought you could make in the Instant Pot…but, oh man you can! Check out this thick and creamy Greek yogurt recipe from You Make It Simple; you will be glad you did! Everything Karli from Cooking with Karli creates is totally golden! This awesome ziti recipe is no exception…don’t you just love dump and start meals? So there you have it! Twenty-six awesome Instant Pot recipes, one for every letter of the alphabet. Let me know if you have a favorite Instant Pot recipe in the comment section below! Love all these recipes, so many I can’t wait to try. Let me know how they go, Sonya! 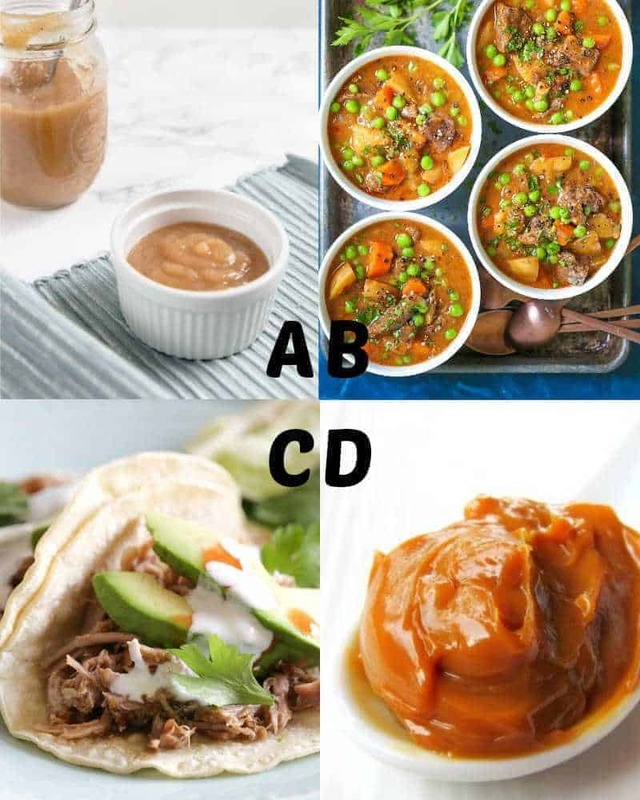 Wow… you did some great research for us on these Instant Pot recipes! And love that there is a photo of each, to tempt us to try them! Saved to two boards! LOVE! Your post is featured on Full Plate Thursday this week. Thanks so much for sharing your talent with us and have a wonderful week! 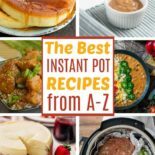 Love the round up of all of these Instant Pot recipes! And congrats on your new IP! I love mine and know you’ll love yours too! Yes! 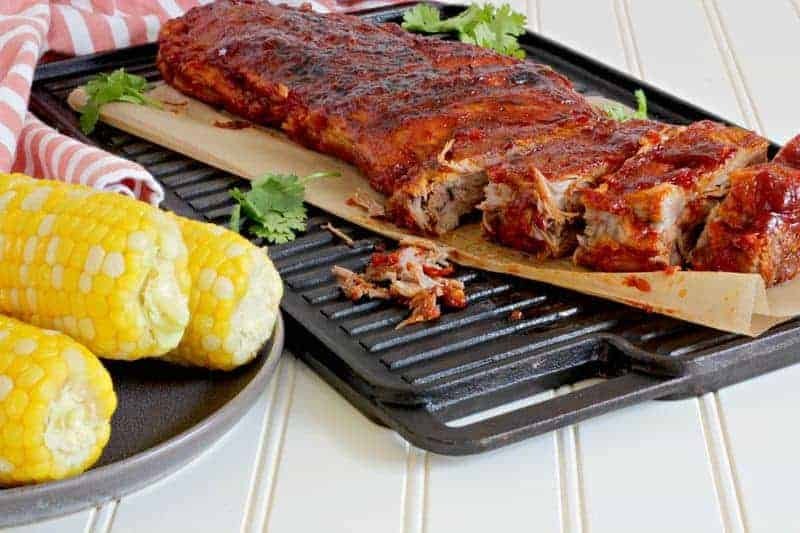 We made ribs for Labor Day with our Instant Pot…other people were out sweating over the BBQ in 90+ heat, but we were cool as cucumbers inside with our Instant Pot. Love it.